Door window treatments come in many forms: French doors, sliding glass doors & doors with window features. Consider your definitive objectives when designing your door window treatments. It helps to break down the basic elements for this type of window treatment. The window treatment can’t interfere with the primary role of a door, entering and exiting. Flowing drapes and lacey sheers might look great, but it’s not a good fit over doors that get used often. Conversely, mounting shades to doors with large window panes functions well. This keeps the fabric and cords from getting caught in doors, harming the shade and prohibiting the door from opening freely. Since your door has glass panes, privacy is a key issue. Whether your door faces a high traffic pedestrian area or another area of the home, you’ll want something to obscure the view from passersby. 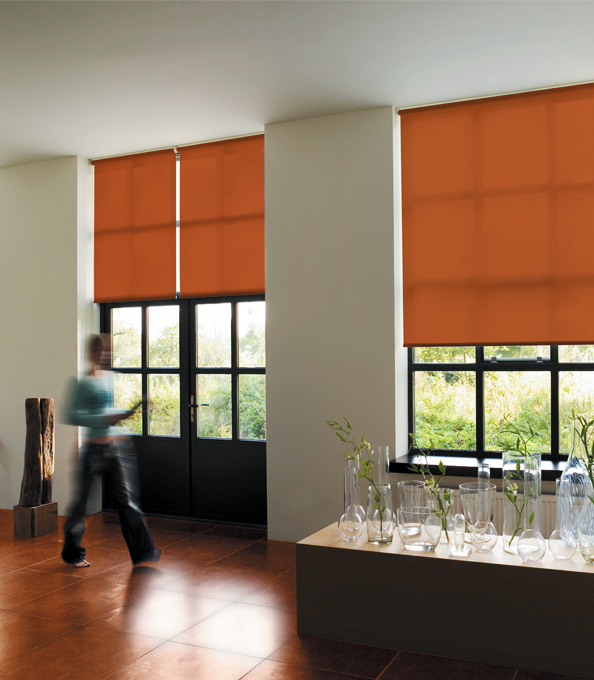 Each shade, blind or drape will provide a level of privacy. 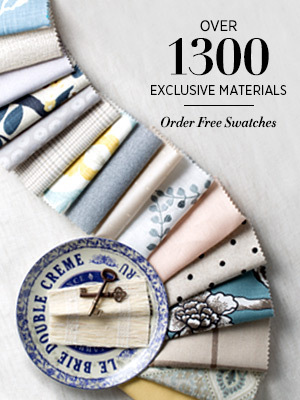 If you wish to have complete privacy, there are linings available for you window treatments. A window treatment for your door is an excellent opportunity to explore temperature control innovations in window treatment technology. Windows have a real impact on heating and cooling costs. Choosing the correct window treatments for your doors can save you money, conserve energy and add style to your home. Insulate your home from heat and cold with products that can improve your home’s energy efficiency. 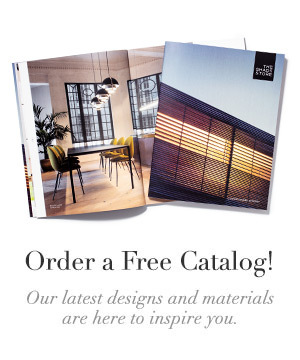 Select from beautiful custom Roman shades, drapery, solar shades and cellular shades. Drapery and verticals are very popular window treatments for sliding doors. These window treatments can be mounted when there is enough for the treatments to be drawn open. Adversely, they can be pulled across for total privacy at night. Use of horizontal shades and blinds and is growing increasingly popular. They can be installed within the frame or over the glass. The use of both drapery and horizontal blinds allows for light control on each individual window with the ultimate privacy of the drapes, when needed. There are many choices when deciding on a window treatment for French doors. 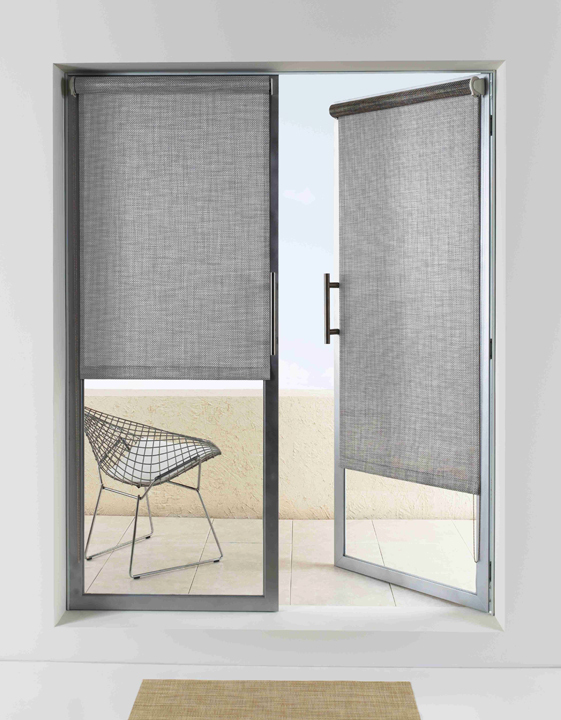 Roller, solar and cellular shades are popular options, as they can easily be mounted within the door frame and anchored. Roman shades are a good choice for windows on doors because they’re orderly and neat at any level. Pulled up to the top, these shades line up squarely to the top of the door. When unfurled to your desired length, the shade creates a styled look. As always, consider your decor. You may want to match the window treatments you have on your other windows, especially if those windows are nearby. If not, then you ultimately have more flexibility. 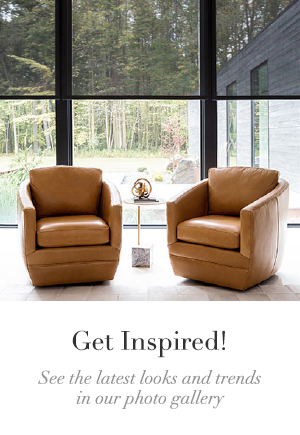 You may want to complement the colors and textures in the room or use something completely different in terms of texture and color. Your desired style will be easy to achieve when adding any of our custom window treatments to your doors!